The most anticipated ruling over the presidential petition by the Supreme Court seems to be having a very huge impact in our country in very different aspects. The petition, which was logged by the CORD coalition, is challenging the election of Uhuru Kenyatta as the country’s 4th president citied irregularities during the election process terming the process as unfair. Already, the effects are already being felt with the United States having already issued travel advisories to its citizen over the presidential petition. According to the advisory, there could e a strong reaction to the announcement of the presidential petition ruling. It went further to strongly urge all U.S citizens to avoid gatherings, demonstrations, downtown business areas, slums and large slums of any kind. This could just be a warning shot by the United States and other foreign governments on how Kenyans will react to the news of the presidential petition ruling. The business community is also feeling the effects of this petition with some investors having to hold their plans until the petition is ruled, developing the wait and see attitude. The most affected sector being the construction sector where contractors have had to halt their plans until the ruling is passed. These effects are having a very huge impact in our country’s economy and how Kenyans react to the ruling could just be a determinant factor on where our country will be in future. Having come from an election that was marred with violence leading to deaths and displacement of thousand people after the election results were disputed, Kenyans would not want to go back there. Our country’s economy was completely destroyed during the violence; living conditions became harsh and unbearable for most Kenyans. The elections came and passed and the international community praised Kenyans for conducting themselves in a peaceful manner throughout the voting exercise. The same presidential elections are now being contested in court and the international community and the world in general is till watching to see how Kenyans will receive the ruling by the Supreme Court. Whether the ruling rules in favor of your favorite candidate or not, we should know our country will still remain. We should be ready to accept the ruling peacefully and dismiss any calls for violence from our politicians at all costs. 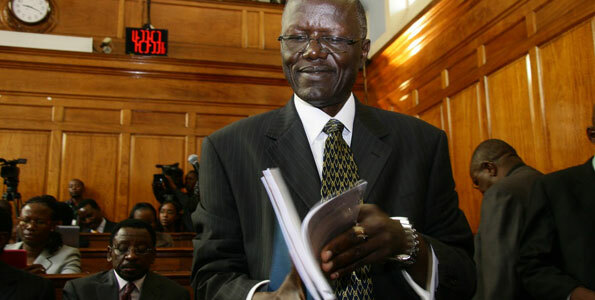 Kenyans should let the courts do its work and give the final verdict at the end of the day. The chief justice Wily Mutunga has already promised Kenyans that the court will rule fairly on the matter and this is enough reasons for us to trust the panel of judges handling the matter. As we continue being glued to our television sets following the petition proceedings, let us all continue holding to the same belief of peace and stability. A must read article on county governments published by the Standard and done by me, Nixon Kanali. Devolution is finally going to be a reality in our country after the governors who were elected in the just concluded general elections will be sworn in on Wednesday the 27th. The adoption of a new constitution in the country provided for this position, under the county to ensure equitable distribution of resources in the country. As at now, many Kenyans still do not understand what devolution is all about as envisaged in our constitution. According to Africa Development Alternatives (ADA) Kenya, devolution is a very key item in these new constitutional dispensations especially in terms of the devolution of power and resources to the county level. These new constitution creates a very ambitious County government structure based on key principles of democracy, gender equity, revenue reliability, accountability and citizen participation. Article 1(4) of the Kenyan constitution puts into recognition the fact that the sovereign power of the people is exercised both at the national and county level, and that is why it provides for a two-tier system of government, the National and County government. The reasons for power devolution have also been clearly set out in chapter one and in essence, are to promote people’s participation in governance, to promote equitable development and the sharing of resources across the country, to bring service close to the people, to enhance the system of checks and balances and to foster unity by recognising diversity. All this will be the responsibilities of county governments under the leadership of county governors. 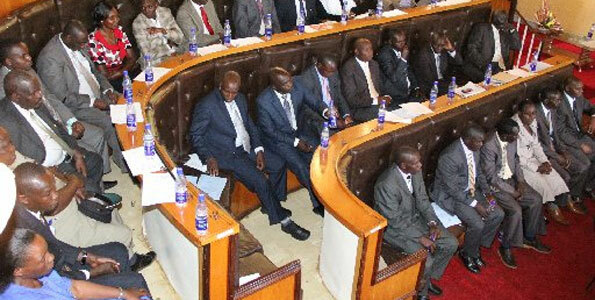 For a long time Kenyans have had little participation in matters of national importance, some decisions have always been made at the national government with Kenyans having little knowledge of what is happening, While resources have always been managed at the national level with some areas having bigger chunks of the national cake than others. This time round, the county governments should help to promote equity and participation. Kenyans should also understand that county governments will be responsible for so many important things. They include agriculture, basic health services and facilities, county roads, water services, county planning, local tourism and these counties can pass laws to enforce them. This is indeed a breath of fresh air for Kenyans who mostly have been so much dependent on the national government to enforce and implement some laws. The fact that all these has been brought service to the people is enough reason for counties to grow and develop, hence boost the economic growth of the entire country. As the new governors wait to be sworn in on the 27th, they must put in mind that they have so much to undertake as they start office. Kenyans have high expectation from these county governments that they are going to deliver good leadership and bring services to the people. A lot more education though need to be done to Kenyans to make sure they really understand what devolution is all about, the role of the devolved system of government and its importance. Botswanas’ Foreign affairs minister says Uhuru Kenyatta who is facing crimes against humanity charges at The Hague should not set foot in Botswana if he refuses to cooperate with the International Criminal Court (ICC) as some suspect…what say you? 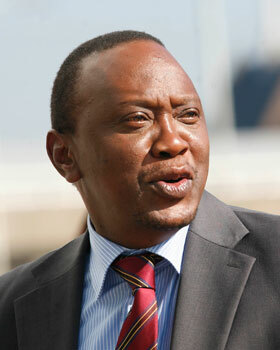 Will Kenyans finally know their 4th president today? For the fourth day now Kenyans are still waiting for the presidential results after going to the polls on Monday 4th to elect various leaders. 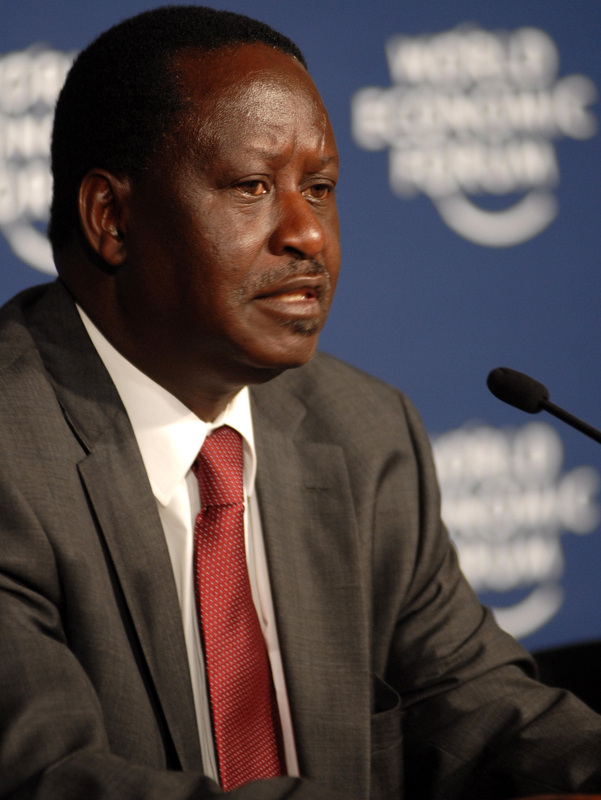 These Kenyan elections have been viewed by analysts as one of the most competitive elections especially among the top two presidential aspirants, the Prime Minister Raila Odinga and one of his deputies Uhuru Kenyatta. So far the results, which are expected to be announced today, are showing Uhuru Kenyatta in the lead while Raila Odinga comes second, with a difference of about 500,000 votes. The manner in which, the Independent Boundaries and Electoral Commission, the body mandated to oversee the electoral process in the country, under the chairmanship of Isaack Hassan has raised so many questions. Particularly after the electronic voter transmission system failed with rumours that the system had been hacked into to favour one candidate ,going around the country. This forced the commission to start the vote counting afresh by deciding to do everything manually. The commission however came out to dismiss these allegations and blamed everything on technical problems. The Raila Odinga led part of the coalition also came out saying they had evidence that the presidential results were being rigged and manipulated. They even threatened to go to court to block the commission from going on with the tallying of the results. With Uhuru Kenyatta still in the lead, the civil society has also gone to court to file a petition at the Kenyan high court to stop the tallying of the presidential results which are nearing completion. Three judges are set to determine whether they have powers to handle the case or not and have already directed the civil society group to appear in court by today, Friday 8th at 3.30 pm. As these events keep unfolding, most Kenyans could be seen resuming back to their normal duties, unlike what the situation was like on Tuesday and Wednesday. Most Kenyans had resolved to stay indoors to wait for the presidential results probably for fear, they country could yet again turn to violence like what was witnessed during the last disputed presidential elections in 2007. Meanwhile, Kenyans continue to remain optimistic that they will soon know who their next president will be, or rather if they will have to go to a run off if none of the two top candidates fail to gunner the required votes as per the constitution for him to be declared president. The most anticipated General Elections are finally here with us. On Monday 4th, Kenyans go to the polls to elect six representatives to represent them in government in what has been termed as the most competitive elections ever in the country, also the first election under the new constitution which was adopted by the country. These elections also come after the 2007 disputed general elections that were marred with violence that left so thousands of Kenyans dead and displaced which later led to the formation of a coalition government. The country has come a long way in trying to return to normalcy after the violence. As we prepare for this big day, Kenyans across the country have been urged to preach peace. The politicians too in their political campaigns have also been advised to be in the forefront in propagating peace to ensure that the country does not go back to where it was in 2007. Something noticeable is the way Kenyans have taken into preaching peace, Especially Kenyans on social media, corporate organisations, and local artists. This only shows that Kenyans are committed in ensuring these elections turn out to be peaceful no matter the outcome. The aftermath of the last elections must have taught us a very big lesson and Kenyans would not like to remember it. As we go to the polls, we should ensure that we maintain peace and accept the results peacefully. The Inspector General of Police David Kimaiyo has already indicated that a record of 99,000 police officers will be deployed to man polling centres and handle security issues. He said the security personnel will be obtained from the Kenya police, Administration Police, Kenya Prisons Service, Kenya Wildlife Service, Kenya Forestry Service and National Youth Service saying no imposters will infiltrate the operations. This assurance by the Inspector General can only be worked out if as citizens we take part in preaching peace. Every Kenyan, organisation should continue with peace initiatives to ensure we are not plunged into violence.